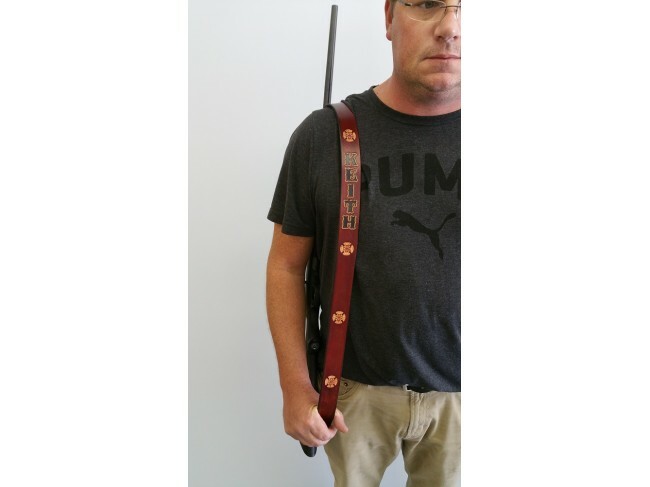 This sling comes with an Iron Cross logo all the way through, and can be customized with whatever name you choose. 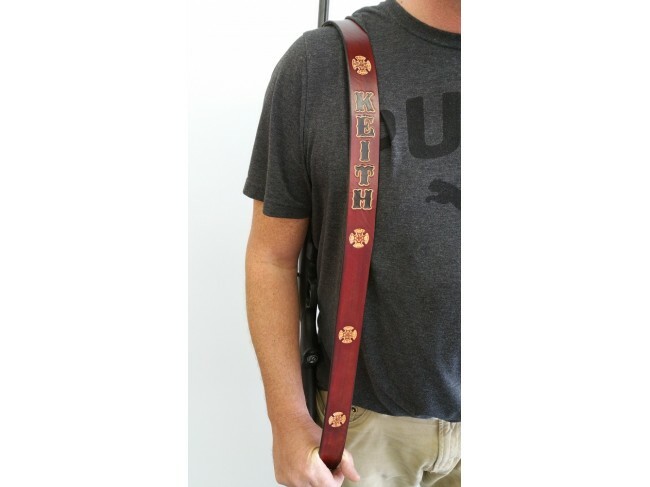 All slings are optional with buckles (6" of adjustment), or no buckle (no adjustment). Made from the same 10 oz. leather we always use. Shown in Dark Brown. 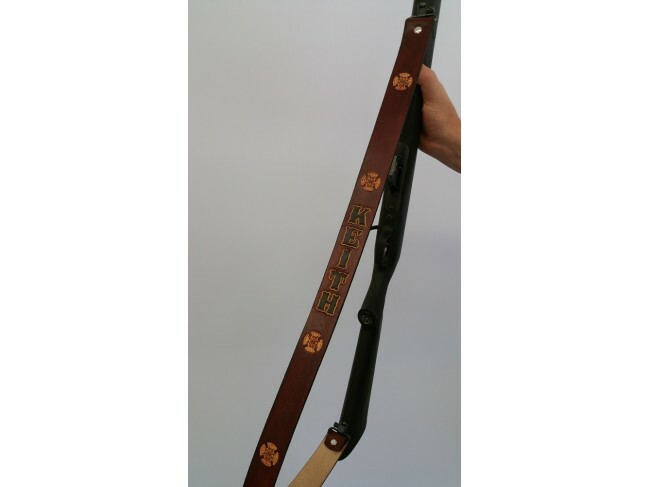 Sling Length --- Please Select --- 35" 40" 45" 50" 55"
Sling Width --- Please Select --- 1-1/4" 1-1/2" 1-3/4"